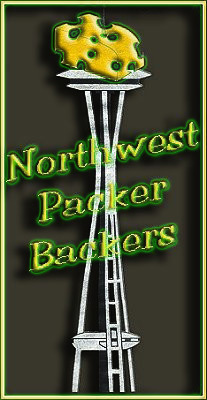 Hello Packer fans & NWPB Club Members! This off-season has gone by slowly for us Packer fans…. The Packers have had some changes this off-season as you know. Changes in the personnel department, coaches and even some of our beloved players. I, for one am excited about these changes that they will lead to a better team on the field and get us back to the Super Bowl. It is time for the NFL Draft to get started with round 1 tomorrow, Thursday starting at 5pm Seattle time. The Packers currently select 14th (which is higher than they have selected since 2009), there are even rumors that they may trade up. (I am ok with that) But one thing we can all agree on, is that need to add a difference maker via the draft for the 2018 NFL Season. We invite you all to join us at the Mustard Seed this Saturday, April 28, 2018 to join us for our NWPB Draft Party starting at 8:30 am since the Packers are currently drafting first on this day. This is a family friendly event so Packers fans young and old can join us. Again, this event will begin at 8:30 am and will run till the last Packer player drafted. You can also stay until the drafts ends. Additionally, there will be some discussions about the club! Club Members check your email. We look forward to seeing you! Come join us for some fun and Packer football. Hope to see you all there! If you have any questions please email us at nwpackerbackers@gmail.com GO PACK GO!! Please see below for information about the 2017 NFL draft dates and times! Round 1 starts on Thursday, April 26th starting at 5 pm Pacific time. Rounds 2 & 3 are on Friday, April 27th starting at 4 pm Pacific time. Rounds 4 – 7 are on Saturday, April 28th starting at 9 am Pacific time.